It is normally quite rare to come across professionals with hugely successful careers lobbing grenades in the direction of the industry that has brought them fame and fortune over many years. When did you last hear a magic circle City lawyer or a bulge bracket investment banker complaining about the level of fees that their firms charge? It doesn’t really happen. It’s a grown up world out there and you take what you can get. So it is both interesting and refreshing to hear Neil Woodford, one of the biggest hitters in the fund management industry, politely and firmly pointing out some of the ways in which the largest firms in his line of work come up short. Quitting his job at the industry giant Invesco Perpetual two years ago to set up his own fund management business was, he says, an opportunity to do things differently – and better. In the 25 years that Woodford spent working for his former firm, it grew from a tiny start-up based in Henley-on-Thames with some £300 million under management to a multi-billion dollar industry megalith run, following its takeover by Invesco, from Atlanta in the United States. His own funds, an automatic go to choice for thousands of professional and private investors in the UK, alone accounted for £33 billion of the total, more than that run by any other UK fund manager. The consistent outperformance of his funds established his reputation as one of the most respected and highly paid figures in the business. Yet leaving to set his new firm, with himself running the money and his colleague Craig Newman running the business, has proved to be a liberating experience. The environment at Invesco Perpetual had become, he says, “quite difficult for a long period of time”. The great thing now is that with 60 years of experience between them “Craig and I, starting with a blank sheet of paper, have been able to design a business that works well not just for the fund managers and the employees of the organisation, but better for clients as well”. What that means, in practice, is streamlining operations and overheads, cutting the management fee that investors have to pay, and providing much more information about how and where the fund is investing – for example, committing to publish promptly every month the name and size of every holding that the fund owns. “We’ve got a very disruptive pricing model and we’re a lot cheaper than we were before. We’re able to communicate very openly and transparently. We’re providing an incredible amount of information to our clients. Nobody else comes close to providing what we’re providing”. He pauses, then adds: “We’re treating our investors like grown-ups. We haven’t got anything to hide”. This is a pointed reference to the way that many firms which sell funds to the public have traditionally disguised quite how much money investors are paying for the privilege. 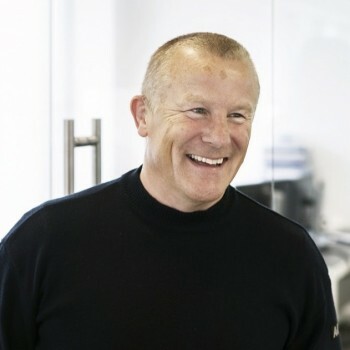 After years of dithering, with the so-called Retail Distribution Review two years ago, regulators finally got round to banning commission payments to financial advisers and other intermediaries and requiring fund managers to give much more information about the all-in cost of their charges and other costs Woodford’s view is: “RDR is changing the business and for the better. There’s more change to come too. The industry needs to change and maybe the pace should pick up a bit. It’s been a little complacent. While I am not necessarily a supporter of all the regulation that we are subject to, in this instance I’m all for the notion that there should be more transparency about how and what you charge a client”. His hope is that greater disclosure will prompt more money to flow to those funds that are genuinely adding some value for customers, and away from so-called “closet trackers”, funds that charge hefty fees for doing little more than copy what is in the main market indices. Something like 30% of the 2,500 funds sold in the UK are guilty of this practice, a dirty little industry secret which Woodford rightly describes as “outrageous”. As his own investment style is predicated on never following the herd, it is not something in which he himself has ever been accused of indulging. Woodford’s success and reputation as an investor rests on his rare but proven ability to think for himself and plough a lonely course even when majority professional opinion is against him. For years he has invested heavily in two sectors (tobacco and pharmaceutical companies) that most investors like to hate, and avoided two others (big oil companies and banks) that make up a significant proportion of the UK equity market. The refusal to own BP and Shell is particularly striking given that his funds are “equity income” funds and the two big oil companies account for a sizeable chunk of the [£xbn] of dividends paid each year by UK-listed companies. Woodford’s argument is that Big Oil is over-investing in a desperate but ultimately futile effort to replace the reserves that once provided them with supernormal profits. Another way in which Woodford has ploughed his own course has been his willingness to put a chunk of his fund into smaller, early stage businesses, some of them not even listed on a stock exchange. These are higher risk, potentially higher return investments that require different skills to back and monitor. So convinced is he by the merits of this style of investment that he recently announced the launch next month [April] of a new closed ended fund (investment trust) that will invest in nothing else and sit alongside his firm’s only other fund, his much larger £4bn equity income fund. The aim is to help fill the notorious funding gap that exists, particularly for university-sourced scientific breakthroughs, between venture capital, private equity and the tradeable public equity markets. Most fund managers are too short term and too risk-averse to make these kind of investments, which Woodford believes are key if the UK is ever to match the United States in the development of world-beating technology businesses. “It is the failure of my industry to understand the needs of the science community and the innovation community, or even to want to participate in it, that is the single biggest explanatory factor behind our failure as a country to translate the great science we have into commercial success”. That said, Woodford’s optimism about the huge potential of early stage business is matched by his pessimism about the general economic and political environment. He admits to being a fully paid up supporter of the “secular stagnation” thesis advanced by Larry Summers and others. The idea that the world will return any time soon to the kind of economic growth we experienced before the global financial crisis is wishful thinking. “My view on the world is that the world is a very difficult place. We are a long way away from what I think continues to be the consensual view that just around the corner there’s this event that’s going to result in a return to normal – that economies are going to start to grow, inflation will normalise, interest rates will normalise, QE will be a thing of the past and we will be back to where we were before the crisis. I think this consensus view is completely and utterly wrong. It isn’t the product of rational analysis. It’s a wish”. Only the United States has had any real success in fixing its banking system and reducing debt in the private sector, though even over there the risk of a policy error, raising interest rates too soon, remains high. The relative success of the US economy, says Woodford, is “for me the counter-factual that proves how policy has gone wrong in Europe, and to some extent in the UK”. The idea that you can “insulate the economy from all of the nasty effects of a crisis and somehow magically growth will return some stage” is fanciful. “It won’t and it can’t”. In the meantime political risk and uncertainty is growing. So where does this leave investors? Remember, he says, that reinvested dividends account for the great majority of equity market returns over time, so equity income remains a tried and tested approach. Investors need however to remain highly selective in what they look for. “That is what I am paid to do and that’s why I believe I can deliver high single digit returns per annum over a three to five year view. That’s what I said when we started the new fund and that’s what I would say now, but I don’t disguise it’s going to be bloody difficult”. If even the UK’s most famous fund manager thinks that, you have to worry even more about the rest. This is the original version of my interview with Neil Woodford for The Spectator March 7th 2015 issue.